ARGIRELINE® peptide is still a leader in the cosmetic industry for its proven efficacy in attenuating the appearance of expression wrinkles. 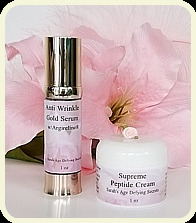 Anti Wrinkle 55 Gold Serum, described as a magic potion, is a powerful anti-wrinkle Hexapeptide, known as Argireline, Acetyl Hexapeptide-8, with a Botulinum Toxin-inspired activity. Our Anti Wrinkle Serum is an alternative to topical injections, this molecular cosmetic achieves the same, the relax of the muscles responsible for the formation of expression lines. This hexapeptide formula mimics the N-terminal end of SNAP-25 and competes with this natural protein for a position in the SNARE complex. 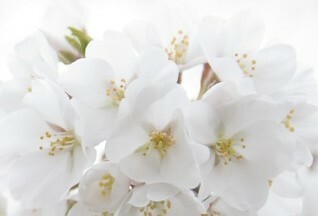 As a result, neurotransmitters are note released efficiently and facial contractions are weakened and muscles relaxed, thus inhibiting the formation of wrinkles. Same as botulinum toxin but safer and smoother, this anti-wrinkle peptide, the first of its generation, attenuates wrinkles and expression lines, reducing the depth in 15 days or less, and the face becomes smoother. Anti Wrinkle 55 Gold Serum is the absolute strongest and best anti wrinkle serum, to help prevent and reduce fine lines and wrinkles.